This Grade 1 listed building is probably the finest Georgian house in the North West. It was designed and built for Thomas Clifton by John Carr of York between 1752-1764. 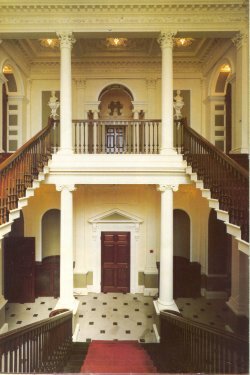 Apart from Basildon in Berkshire, Carr worked entirely in the North of England and always in the Palladian style. His works include the Castle and Court complex in York, Tabley House, Knutsford and the Royal Crescent in Buxton. Unfortunately, none of Carr's plans, specifications or accounts for Lytham has been found, but it is known that he incorporated parts of the Jacobean house into the service quarters behind the new three-storey main block. The design is unusual in that all the main rooms are on the ground floor rather than the first. The Hall itself is built mainly of red brick, with stone dressings used for the windows and doors. An Ionic portico links the first and second floors over the main (east) entrance. The surmounting pediment originally carried the Clifton coat of arms in stucco. The symmetrical proportions are typical of Carr's work. Internally, the main rooms are very fine, with delicate Adamesque plasterwork and the central staircase has a magnificent coffered ceiling with a central relief of Jupiter hurling thunderbolts. There are 8 bedrooms on the first floor, each with differently carved wooden chimney pieces, and 9 plainer bedrooms on the second floor, one of which and its dressing-room have panelling out of the earlier house, and are reputed to be haunted by Sir Cuthbert. There has been little alteration to the hall since it was built, apart from up-grading of services over the years. Amongst the furnishings are some notable pieces. Pride of place goes to a magnificent early Gillow servery, semicircular to fit the domed alcove in the dining room, together with a set of dining chairs after Chippendale, also likely to be early Gillow. Family paintings adorn the walls of most rooms. They give an insight into how the Cliftons were connected to other wealthy families. Perhaps the most interesting is an oil-on-panel portrait of Sir Cuthbert Clifton who purchased the manor in 1606. The surrouding grounds are the remains of the inner Home Park and extend to about 80 acres in all. Much is woodland but with grassed areas and two large ponds. The open aspects are to parts of the separately-sold Home Farm. The views are protected, and the whole area has been listed. Other buildings in the grounds are Grade 2 listed: the Gatehouse (after Wren), a large stable block, a huge dovecote with 850 nesting boxes, the inner gates, a statue of Diana (currently in store) in what used to be a formal garden and a screen wall running south from the west wing. Lytham is the 'Lidun' of the Domesday Survey of 1086. By about 1200, the Manor had passed into the hands of the See of Durham, housing a Prior, a few monks and their servants in a small priory. At the dissolution of Durham in 1540, the house and lands were taken over by the Crown and let to the sitting tenant, a Thomas Dannet. By 1597, the Manor was in the hands of Sir Richard Molyneux, who, in 1606, sold it on for £4,300 to Cuthbert Clifton of Westby, a relative by marriage. He pulled down most of the medieval buildings and constructed a substantial new house in Jacobean style. Not without difficulty and penalty, the Catholic Cliftons survived the Civil War and the various rebellions. By the middle of the 18th century their estates in the Fylde were large, and they were people of consequence in the county. It was a time of improvement and re-building, and in 1752, the Squire, Thomas Clifton, commissioned John Carr of York to plan and build a new house, which took 12 years to complete. For most of the next two centuries the Cliftons and their Fylde estates prospered, especially during the development of Lytham and Blackpool and the foundation of St Annes-on-the-Sea. At its peak, the Estate comprised 8000 acres and the Cliftons were one of the richest families in the country. They spent little time in Lytham. Their great wealth allowed them to travel widely, especially in the 19th century, and the Estate, which was entailed, was administered by Trustees and managed by a series of land agents. All this was to change with Henry (Harry) de Vere Clifton, who dissipated his inheritance. 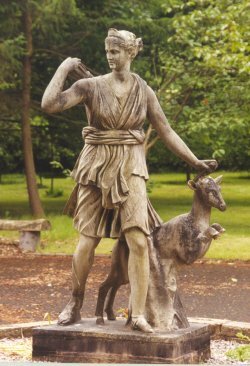 The remnants of the Estate, some 2500 acres, including the Hall and its park, were bought by Guardian Royal Exchange Assurance in the mid-sixties. Over 2000 houses have since been built in the Park, but the inner Park, of about 80 acres, remains around the Hall itself. GRE have been very good stewards, having restored and preserved the buildings and latterly allowed restricted public access by arrangement. When the Hall and its Park were offered for sale in 1996, Lytham Town Trust, as a consequence of a magnificent gift of about £1million from British Aerospace, was able to acquire this important part of our heritage for the Community. Lytham Town Trust leased the Hall, under a partnership agreement, to the Heritage Trust of the North West in 1988 for a period of 99 years. HTNW aims to conserve the historic status of the Hall and Parkland and develop and enhance the site as a regional tourist attraction on the Fylde coast, with public access for residents and visitors alike. 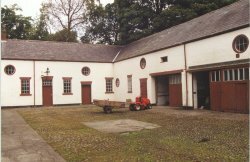 conversion of the stables to commercial units. Over the centuries the Clifton family has played a full part in local and national affairs. They took their name from the township of Clifton-with-Salwick, between Lytham and Preston. From earliest times, Cliftons were Knights of the Shire (MPs) and, in more recent times, the family has possessed two Baronetcies, both of which died out. As staunch Catholics in the turbulent post-reformation years there was both triumph and tragedy, including sequestration and subsequent restoration of its estates. The end came with the dissipation of the entire family fortune by the last Squire, Henry Talbot de Vere Clifton (Harry). After a visit to Lytham Hall in 1935, the novelist Evelyn Waugh wrote in a letter to a friend - "Very beautiful house by Kent or someone like him .... Adam dining room .... all Cliftons are tearing mad .... all sitting at separate tables at meals ". Great wealth had led to eccentricity and finally to much worse. Cuthbert Clifton of Westby was the son of Thomas Clifton, a registered recusant, who died when Cuthbert was only three years old. His mother was a Southworth of Samlesbury, another leading Catholic family. 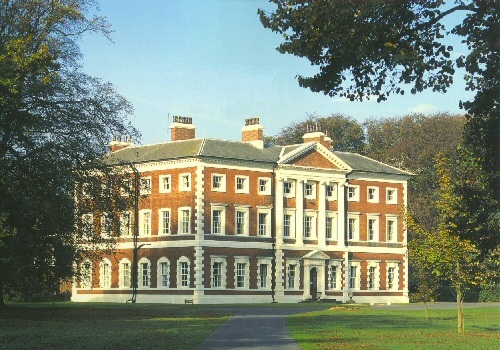 He negotiated the purchase of the great estate at Lytham from his Molyneux relatives, involving a transfer of Clifton lands south of the Ribble. He got a good deal - 5,500 acres including a great park and a fine manor house (which he re-built!). He can be regarded as the founding father of the Cliftons of Lytham. He was the second John Talbot, following his grandfather, Colonel John Talbot. The name Talbot seems to have come into the family when Catherine, the daughter of Thomas, the builder of the present Hall, married John Talbot, brother of the 15th Earl of Shrewsbury. John Talbot was rather wild during his youth, and his restlessness found an outlet in travel and exploration. He made his first visit to America when he was 22, and during this visit he had a lengthy affair with Lillie Langtry, which came to light only in 1978. He spent much time living rough (but spending money) in the Far North, extending his travels to Russia, Africa, India and the Far East. 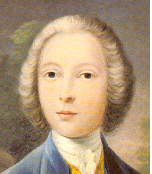 At the age of 39 he married Violet Mary Beauclerk, whom he met in Peru, and settled down to becoming Squire. 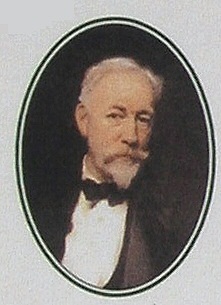 He was a great benefactor of both Lytham and St Annes, having laid the foundation stone for the latter when aged seven. For some years they lived more or less permanently at Lytham, entertaining lavishly. He eventually bought Kildalton Castle on Islay in 1922 and used that as his main residence. He died in Dakar, having surrendered to the wanderlust once more, and is buried on Islay. The last Squire had a dash of Stuart blood in him, his mother having descended from the liaison between Charles II and Nell Gwyn, which may explain many things. He had an unhappy childhood and seems to have ended up hating his father. He was educated at Downside, Bonn, Grenoble and Oxford and had pretentions to be a poet and scholar. 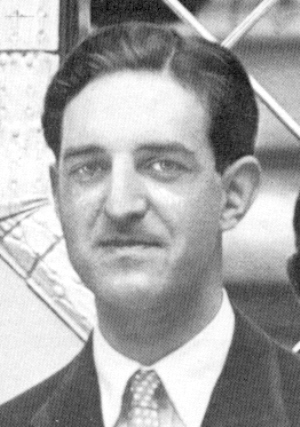 He certainly knew the novelist Evelyn Waugh, having possibly met him at Oxford, who is thought to have used him as a model for his Brideshead Revisited character, Sebastian Flyte. He inherited before his majority and was able to break the entail on the Estate, and get at capital. He kept permanent suites at the best hotels and became well-known as an eccentric, but he plundered the Clifton estates to support his extravagant life-style and wild schemes with complete and utter selfishness. He managed to squander nearly £4 million in the run-up to the final sale of the remnants of the 800-year-old ancestral estates. His mother Violet was the last person to live at the Hall, and when he died he was virtually penniless.